These Chinese big colorful money envelopes have beautiful pictures of dog and Chinese wishing words. They are great for Chinese New Year - year of the dog. 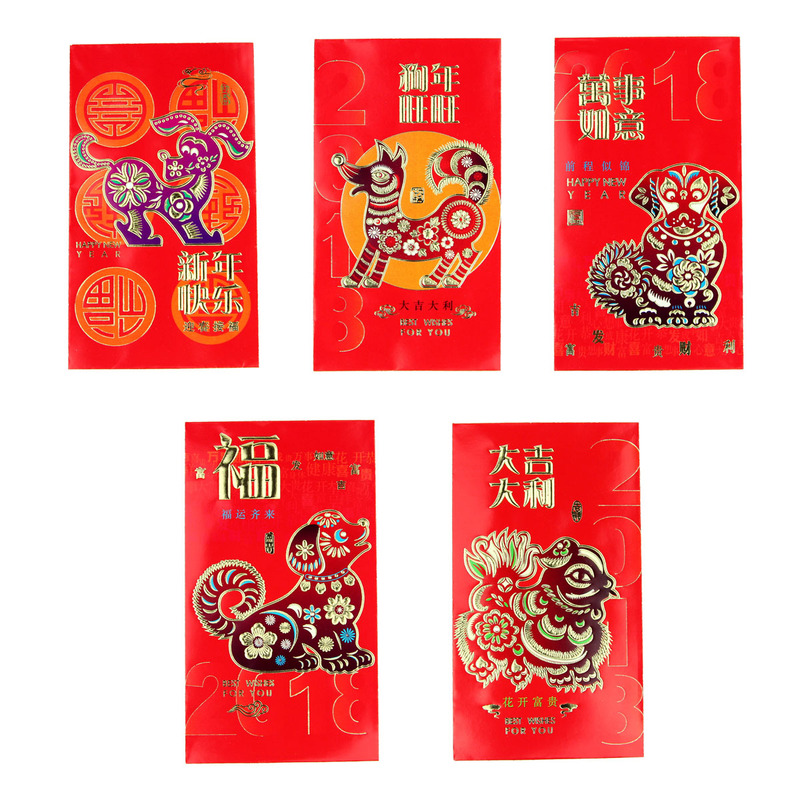 Chinese red envelopes are believed that they can bring good luck, wealth and prosperity for people carrying them around. Therefore some people put some coins or money and put them in their wallet or pocket whole year.